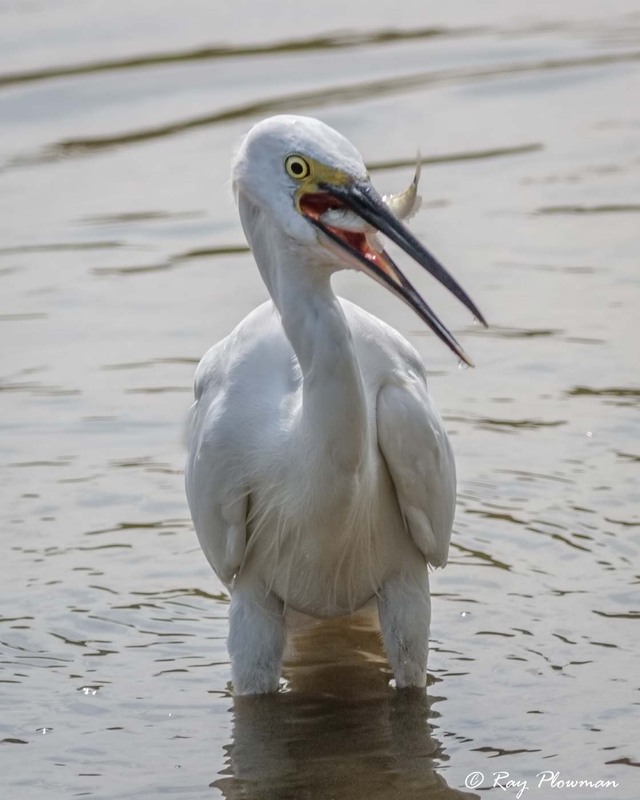 Bitterns and egrets belong to the Ardeidae (Heron) family. 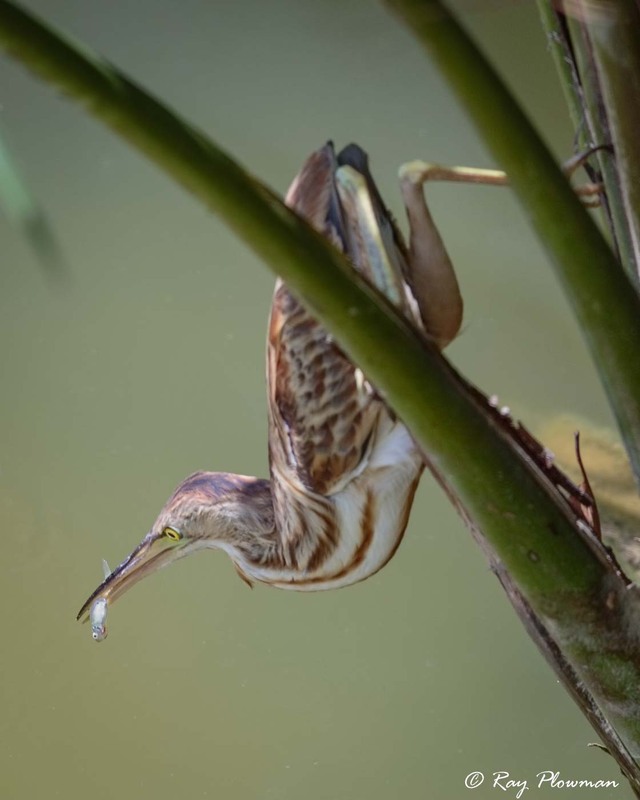 This page features photo essays of Bittern and Little egret behaviour together with an image gallery of other species depicting feeding, hunting and other behaviours. 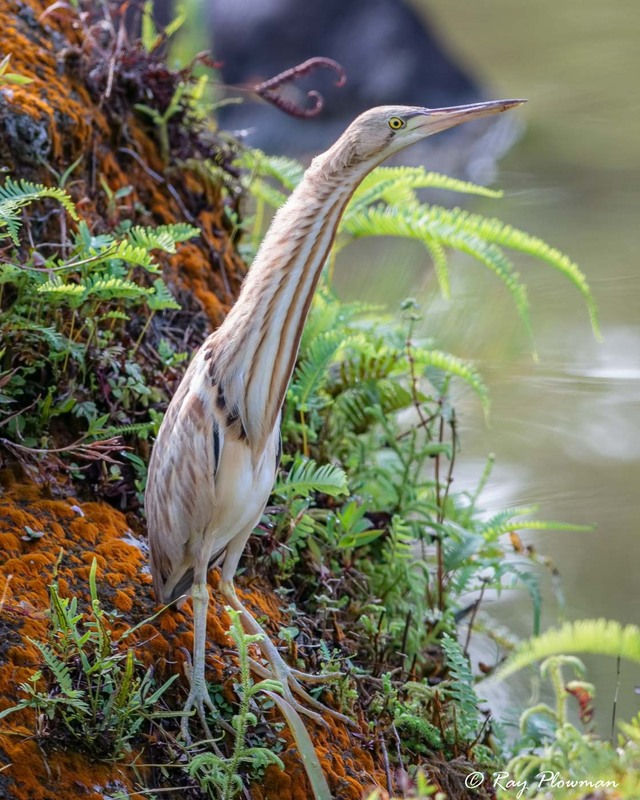 Like most members of the heron family, bitterns adopt different postures: upright with the head and neck extended when startled or to look for food; erect (bittern posture) with the bill and neck vertical and crouched with the head and neck withdrawn. 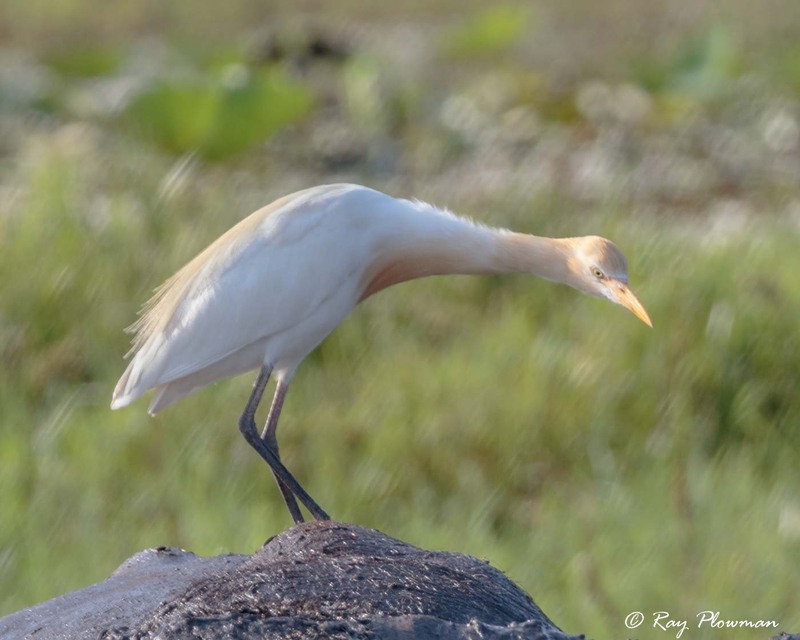 Two images show a female in startled with stretched neck and puffed up feather posture. 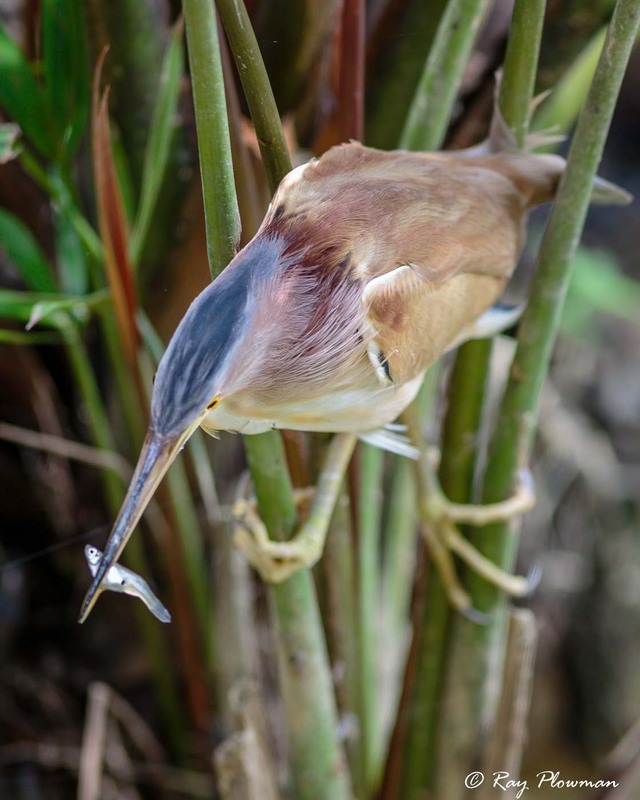 Bitterns are extremely agile, a sequence of images show a male gripping palm stems, striking prey in water and capturing a fish in its bill. 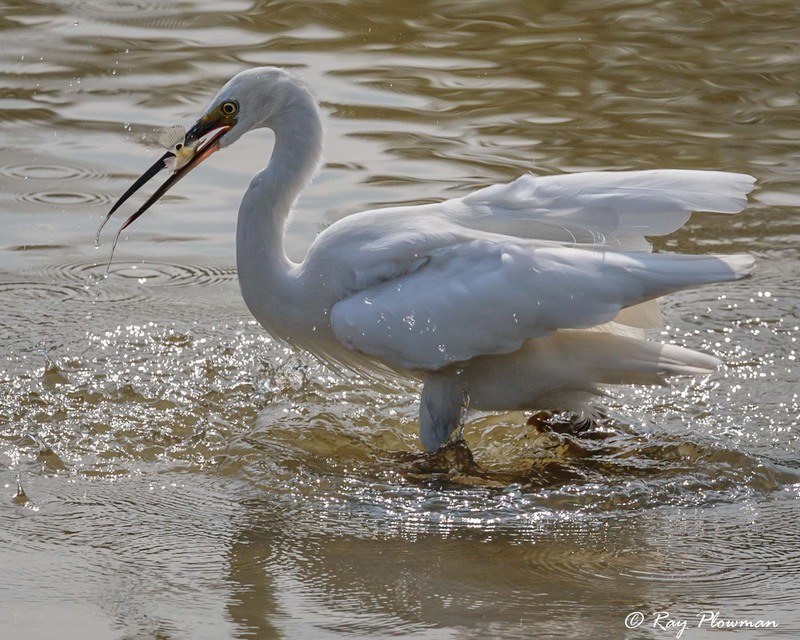 An immature image shows agility in capturing fish. 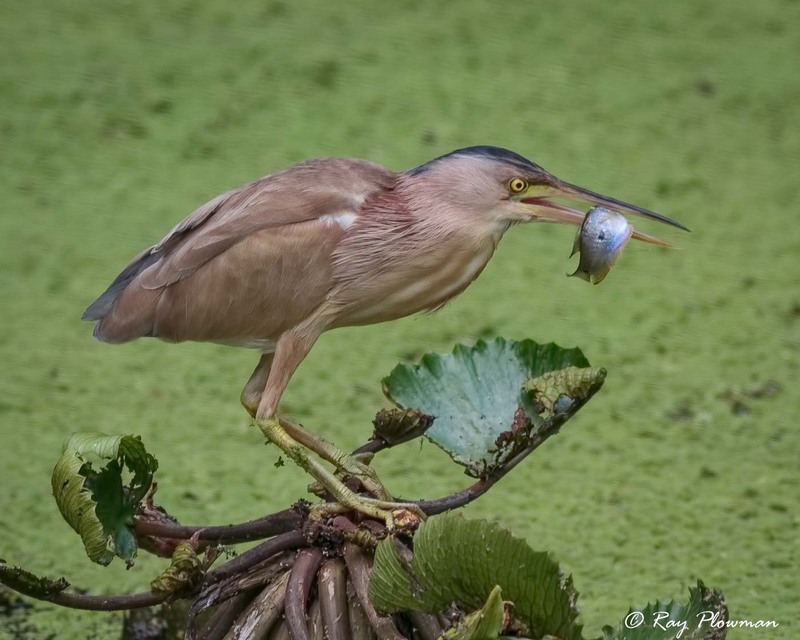 A sequence of five images depict preening, observing, poised ready to strike, captured fish in bill and swallowing prey. 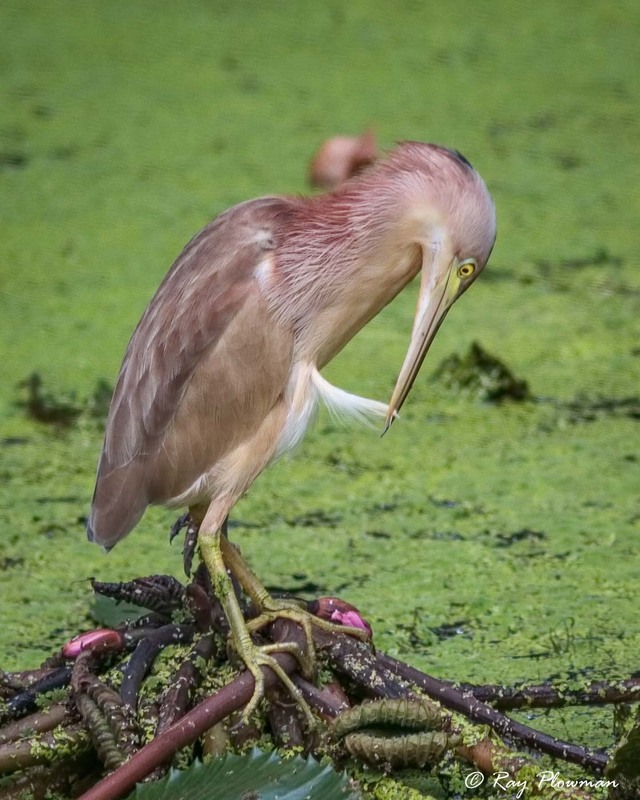 A slider image on ‘Birds’ page features a bittern stretched almost horizontally whist gripping palm fonds. 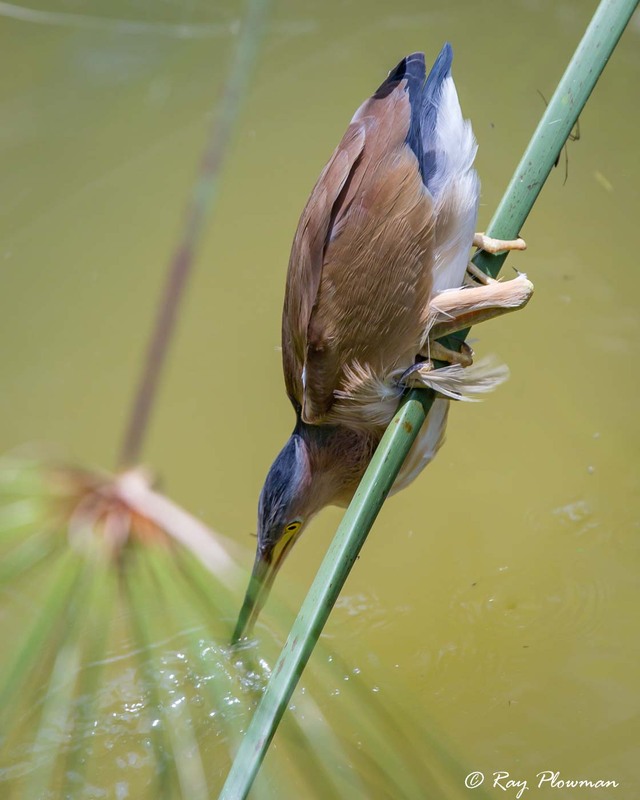 Yellow bitterns hunt fish, amphibians and insects. 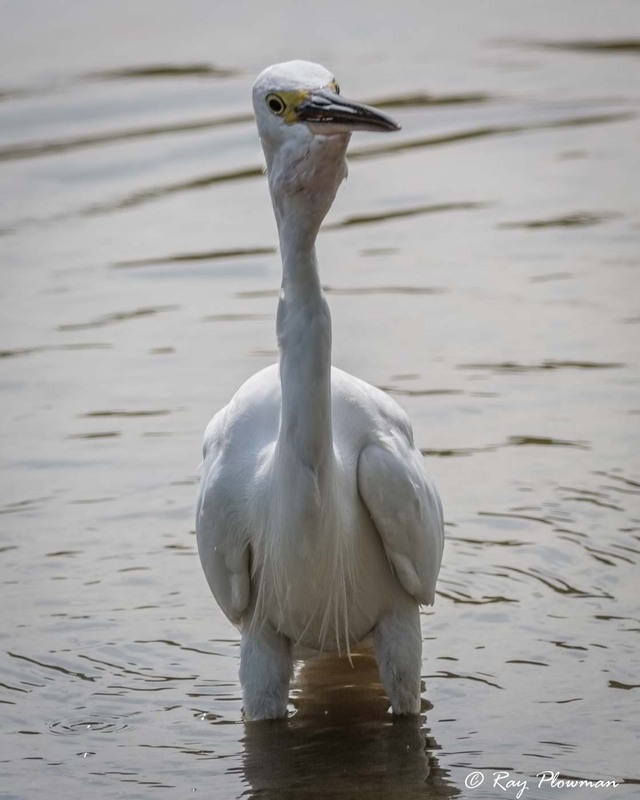 They are resident over a large range of South East Asia, Indonesia, native in Singapore where I photographed them at Symphony Lake in the Botanic Gardens, the lakes in the Japanese Garden in Jurong and at Sungei Buloh Wetland Reserve. 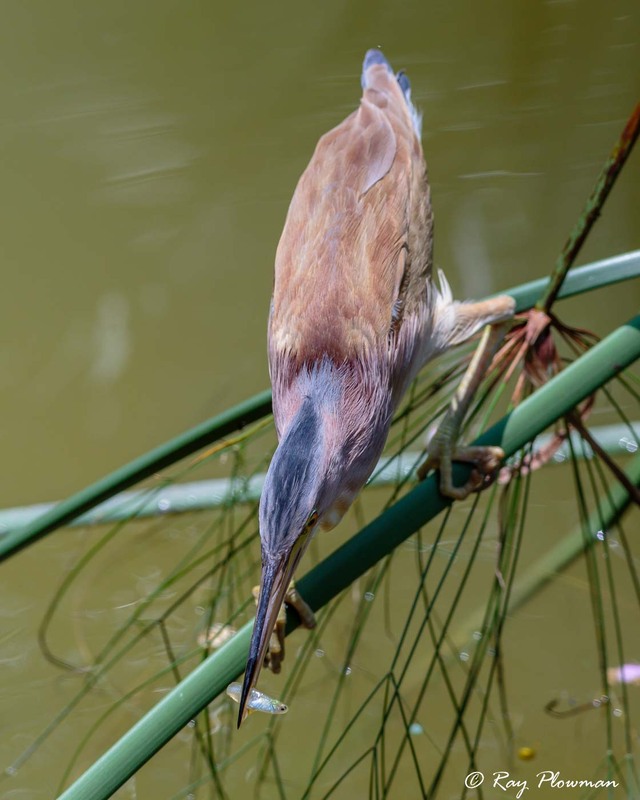 They are sexual dimorphic, and my images show the male, a uniform dull yellow above and buff below, a female with streaked brown crown, neck and breast together with an immature that has singingly more streaking. 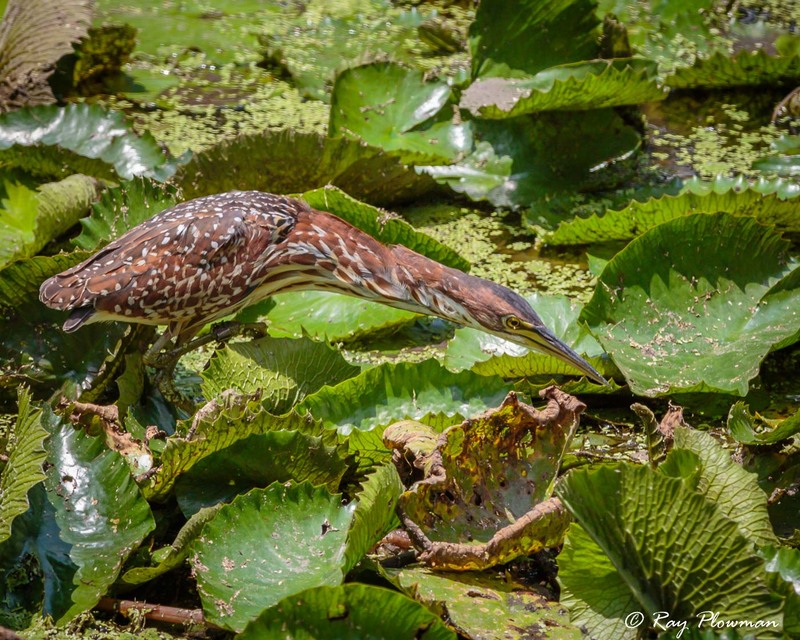 Schrenck’s bittern or Von Schrenck’s bittern hunts similar prey to the yellow bittern. 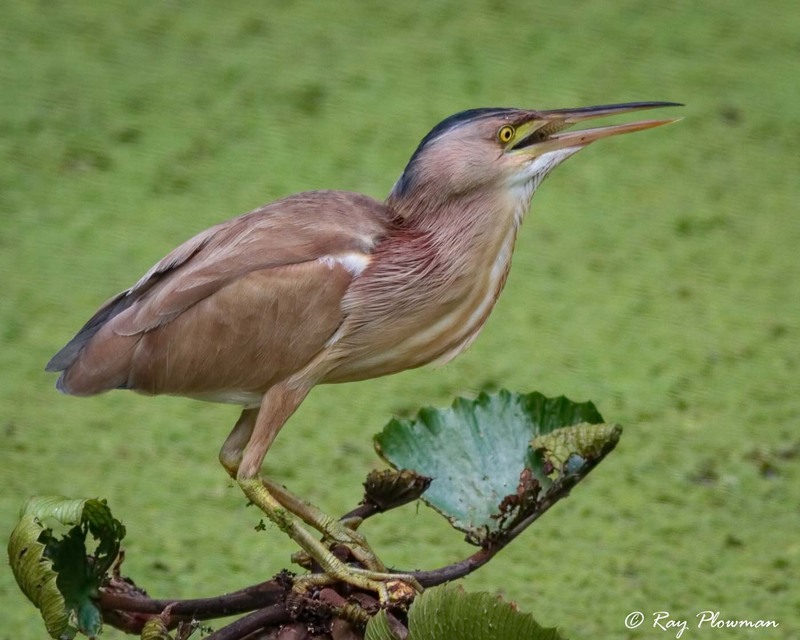 I photographed this species in the Wetland Centre pond at Sungei Buloh in Singapore where it is a winter visitor. 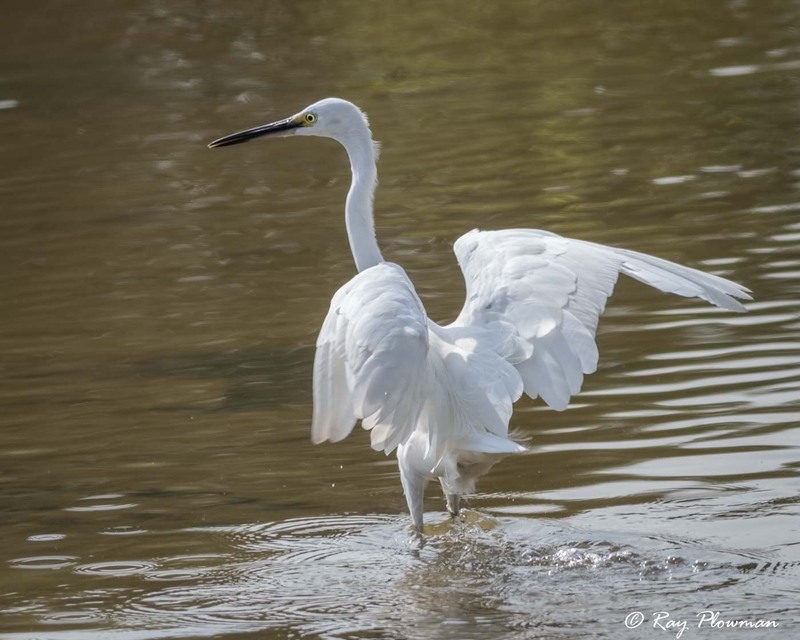 Little Egrets do not take up a classical heron static stance when hunting, but flutter around over the water and in the water to stir up the mud, presumably to scare the fish. 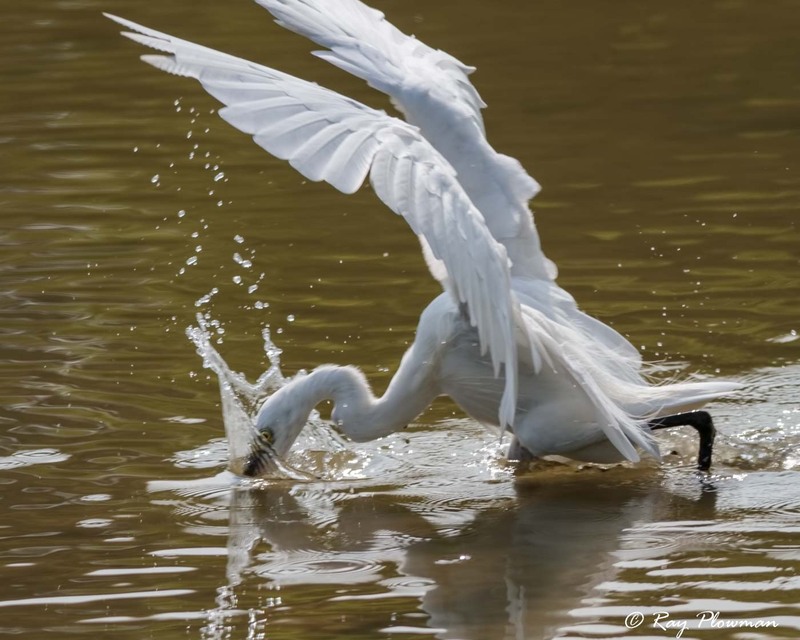 They also fly short distances and then pounce on prey, sometimes in less than a second or two. 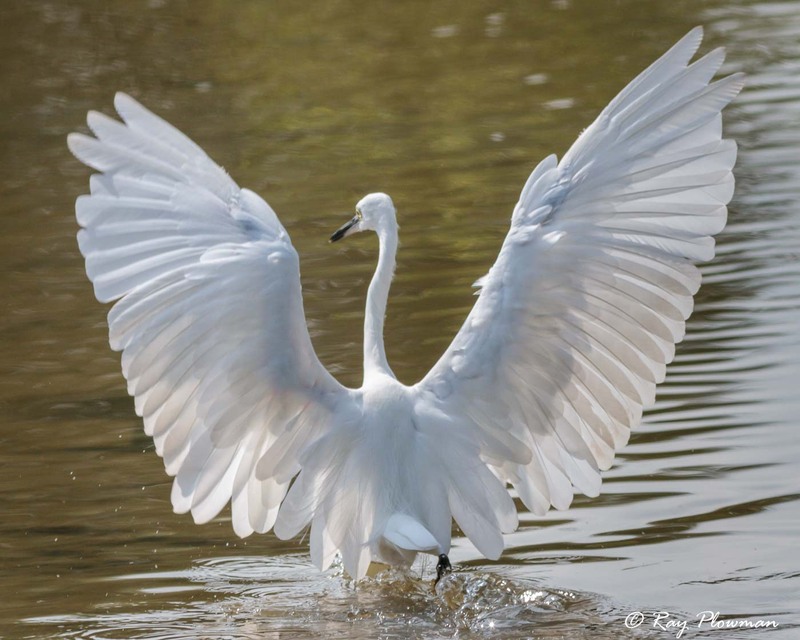 They also shade the water with their wings. 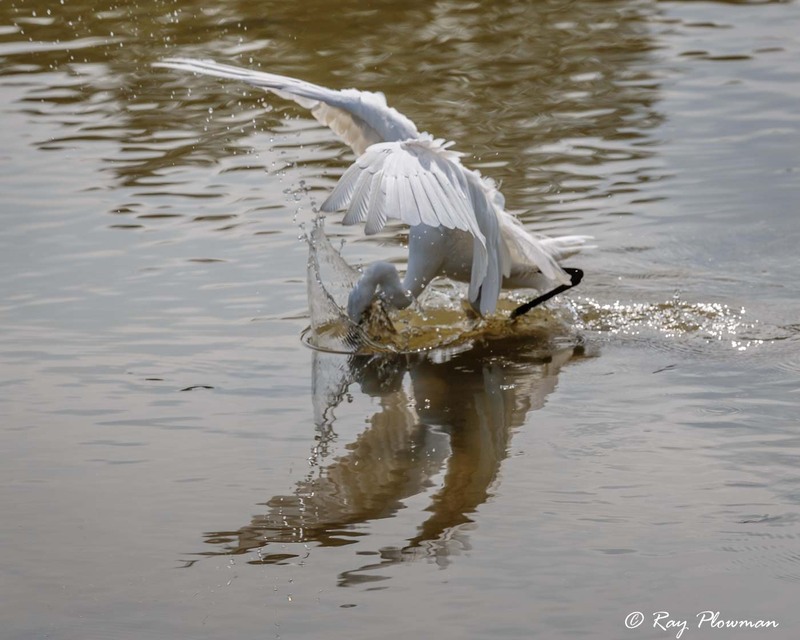 The gallery shows some of this behaviour including devouring a medium sized fish. 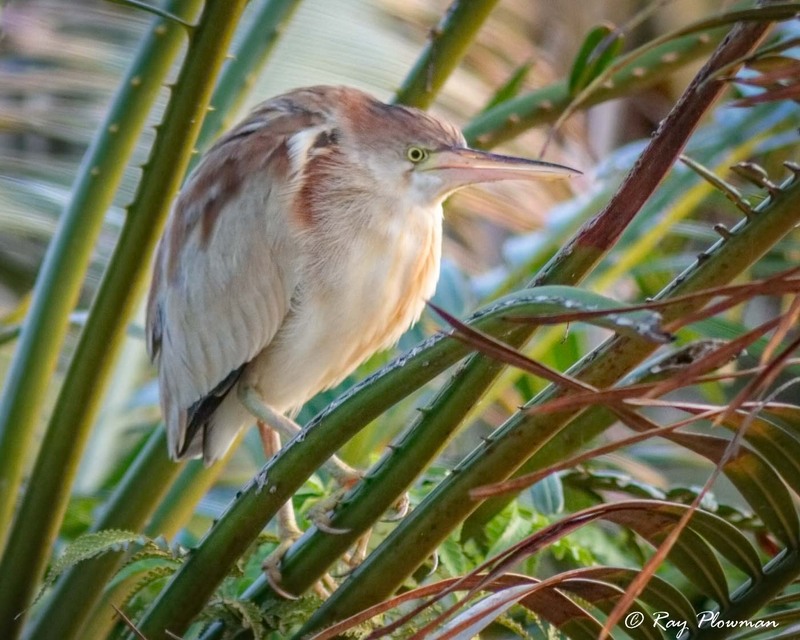 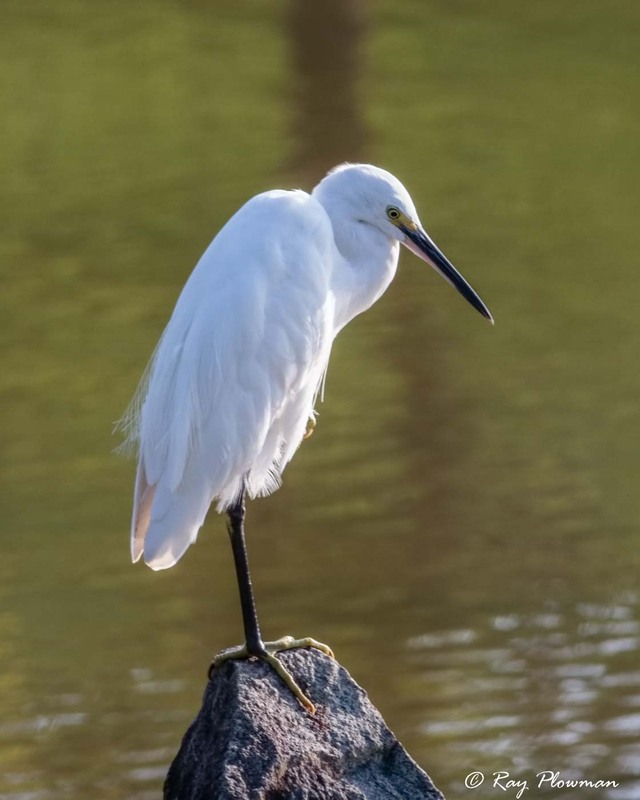 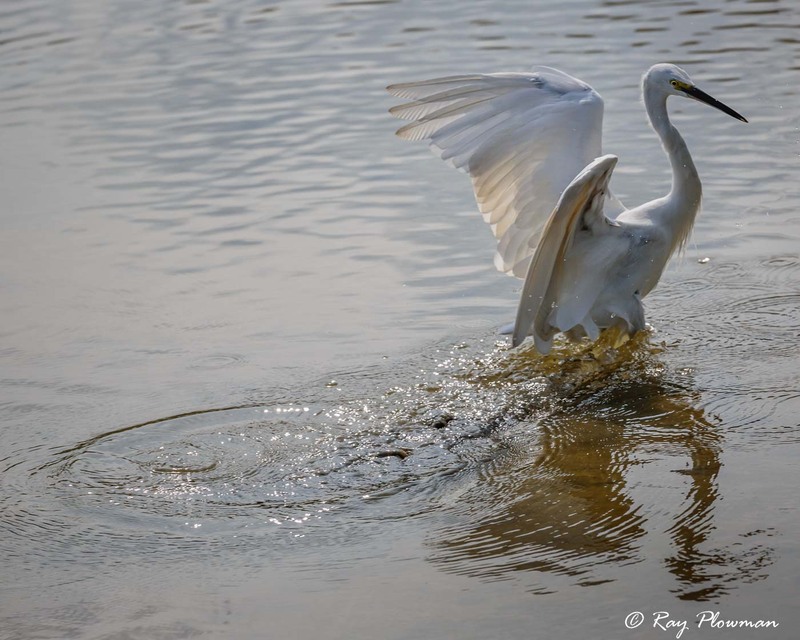 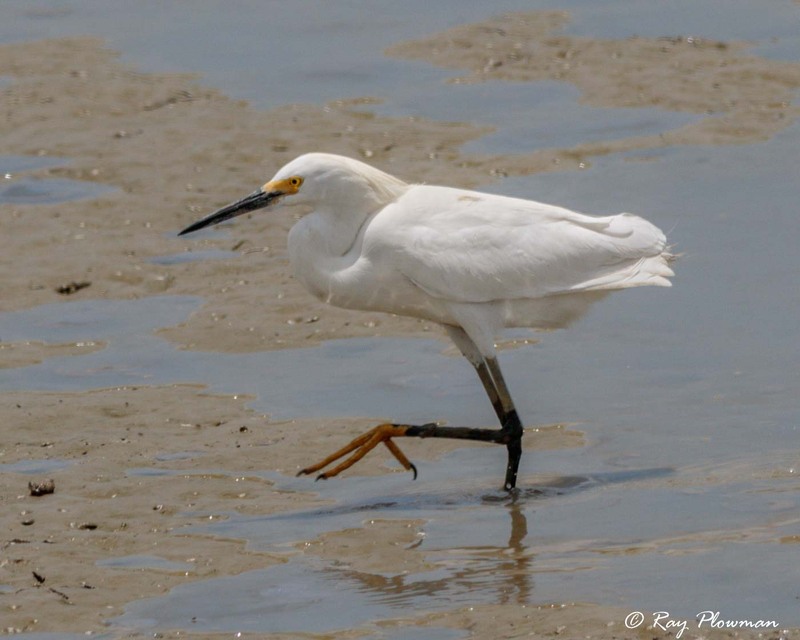 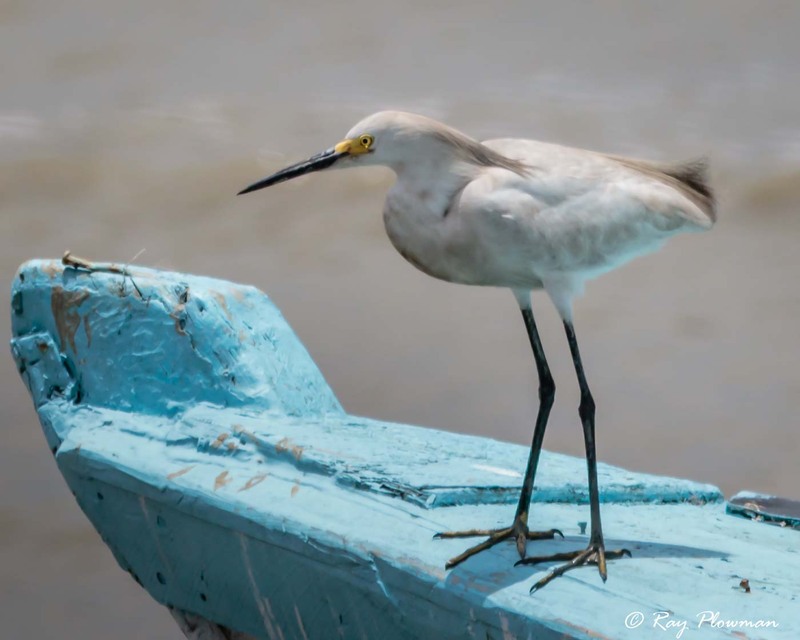 The gallery is an ecliptic mix of egret images. 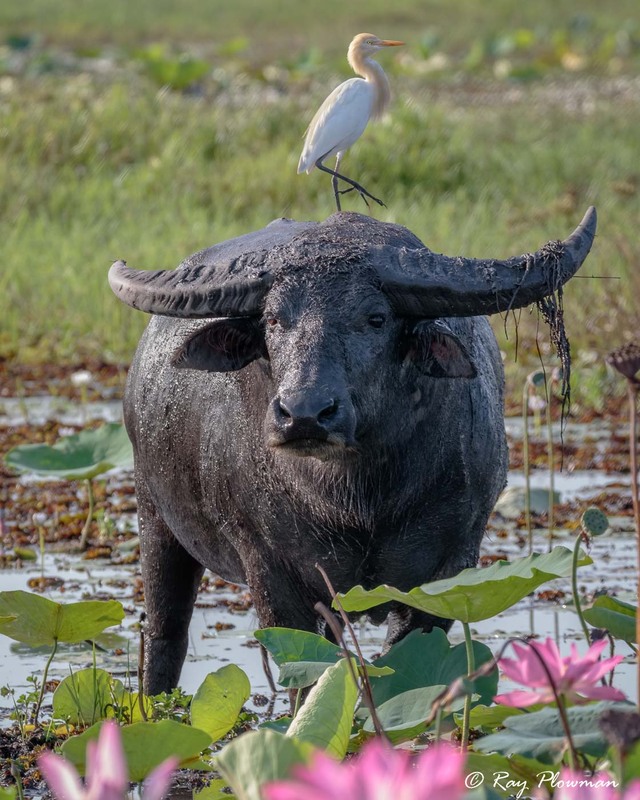 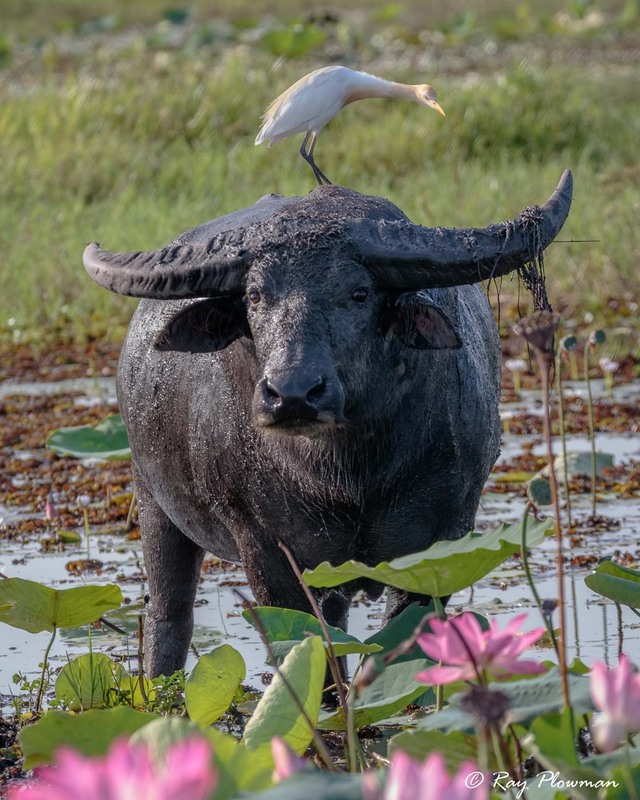 The first sequence shows an eastern cattle egret in Kakadu National Park perched on a feral water buffalo going from relaxed to classic stretched neck pose when prey is spotted. 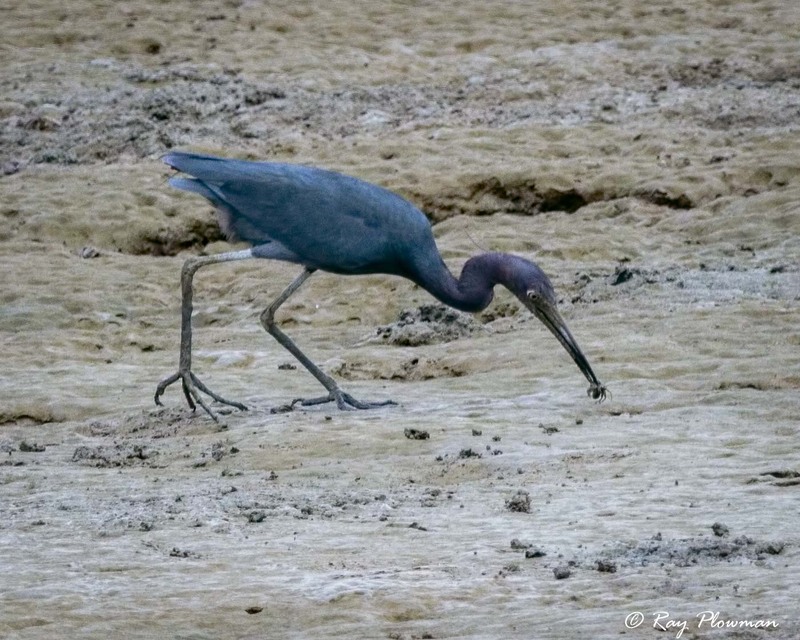 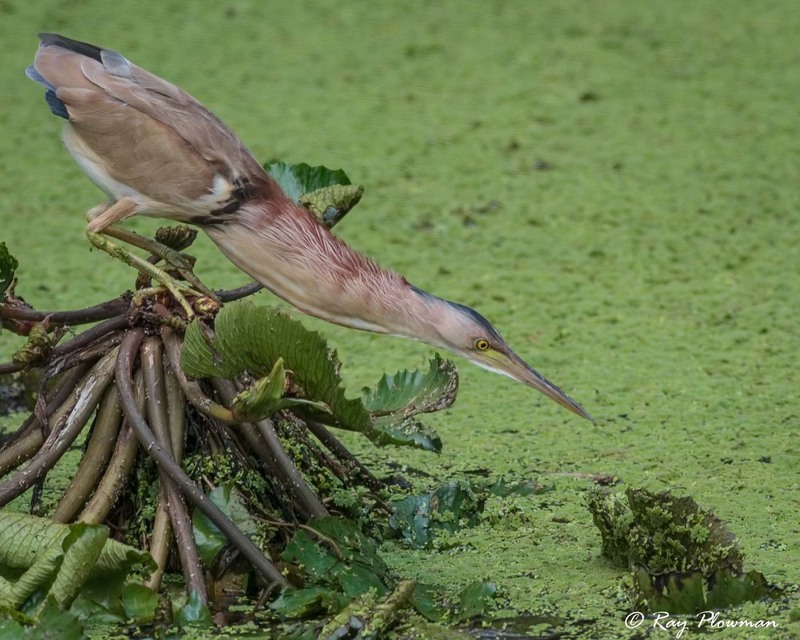 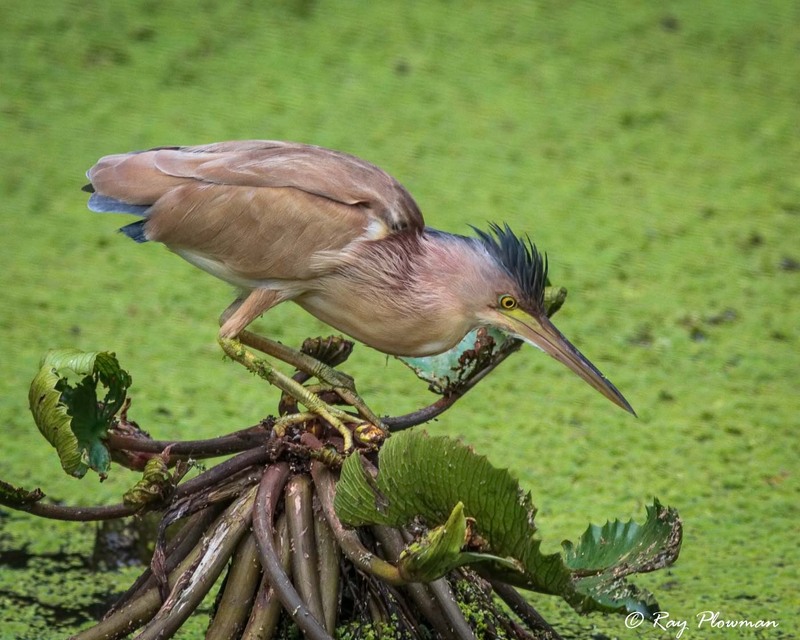 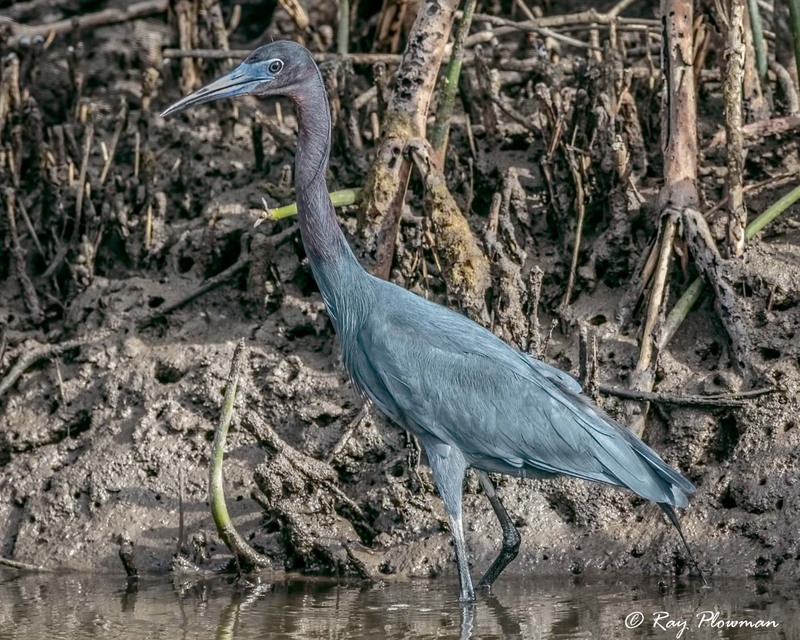 Other images show little blue heron foraging and capturing prey, and snowy and not-so snowy egret at Orange Valley mud flats in Trinidad. 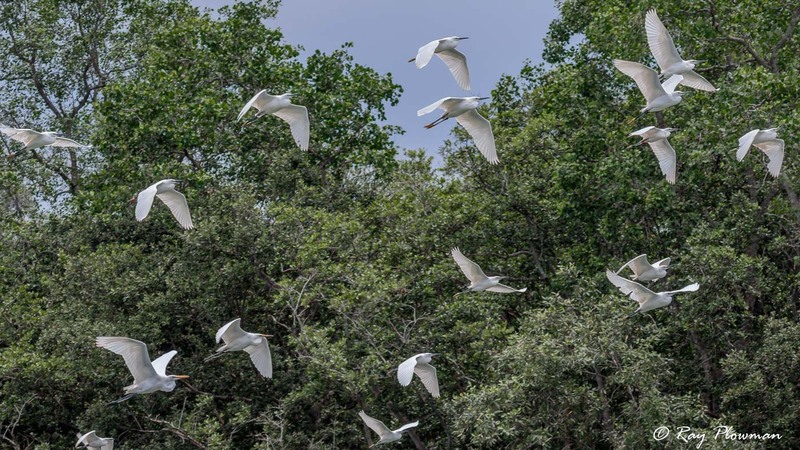 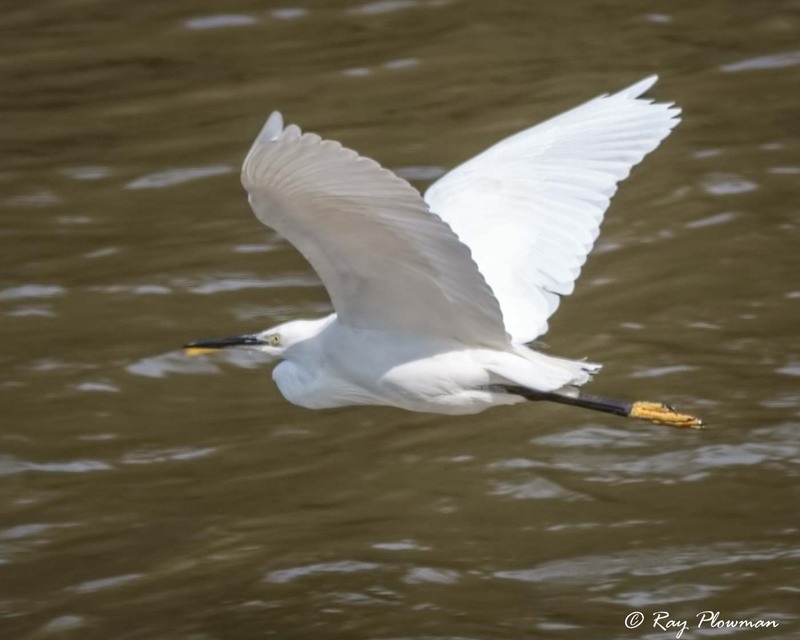 The final two images show mixed flocks; the first is western great and snowy egrets at Caroni Swamp and the second is little and great egrets flying at Sungei Buloh Wetland Reserve.